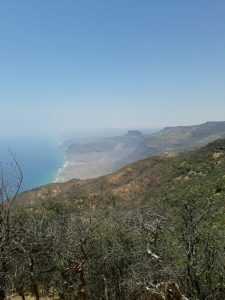 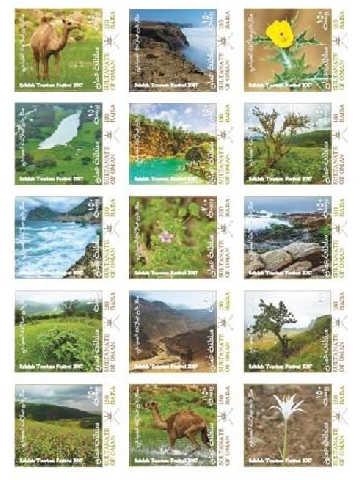 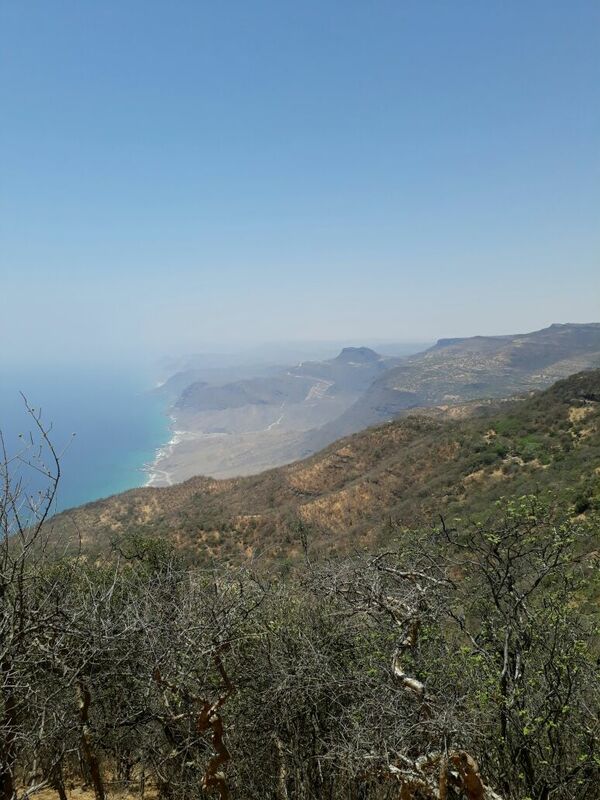 Sightseeing in Dhofar is always exciting. 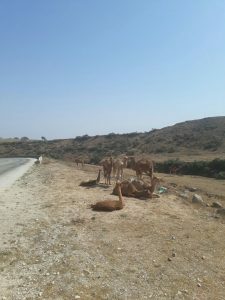 Besides beautiful cliffs plunching down to the sea, typical for the west of Salalah, there are the camels who makes the environment alive. 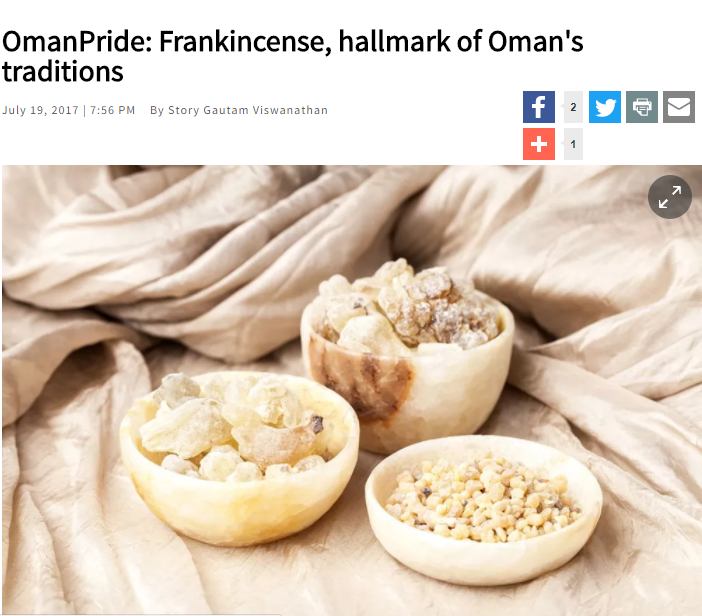 Historically camels were important when frankincense trade was at the highest point. 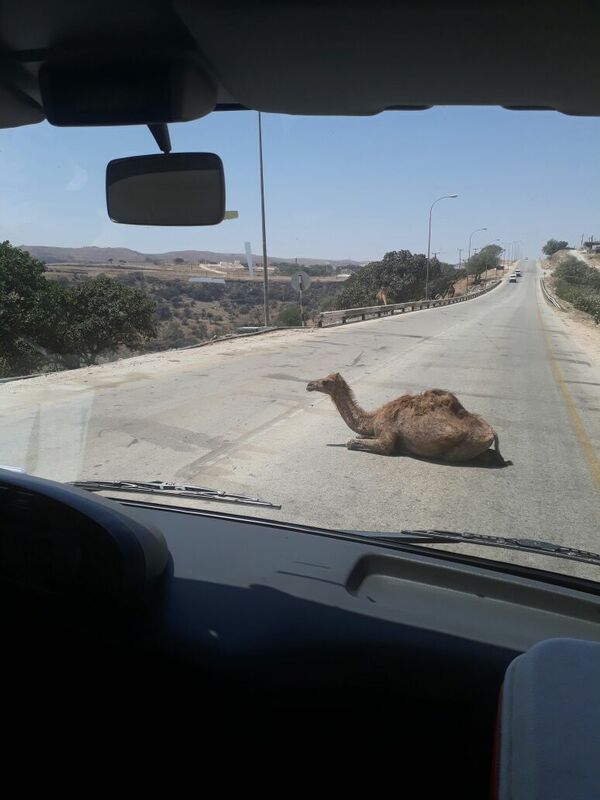 Still today the camels make their way independently during the day. So you can find them everywhere even on and along the road. 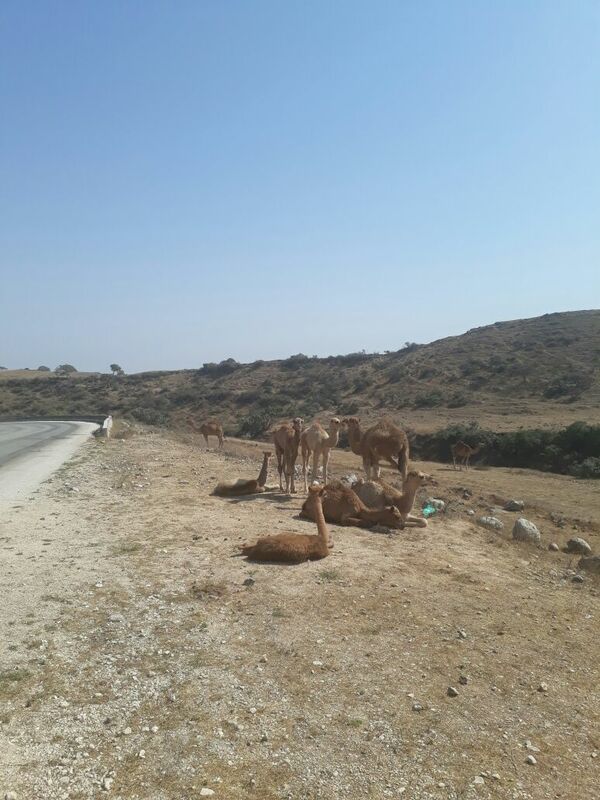 For several reasons camels have a special place in the heart of the Omani’s as expressed in the pictures of our guests during their tour to Jebel Al Qamar .